This is a black and opaque box denounced for years by both unions and investor advisory firms, such as Proxinvest. Renault-Nissan BV (RNBV), the Dutch company that oversees the alliance between the two groups, is the subject of many questions. Sunday, January 6th at the Grand Rendezvous of Europe 1, CNews and The echoes, Bruno Le Maire, the Minister of Economy and Finance, announced that he had asked Renault management to explain compensation that would have been paid to senior executives of the company through this Dutch company co-owned by Renault and Nissan. It responds to the interpellation of the CGT, which requires accountability to the State, shareholder 15% of Renault. 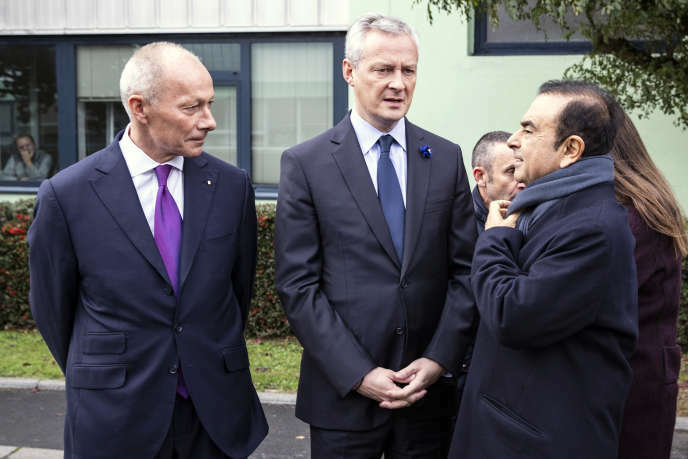 According to documents related to the investigation initiated by Nissan against Ghosn and revealed mid-December by Reuters in particular and The echoes, directors of the diamond firm, including Thierry Bolloré, the current deputy general manager, who sit on the board of directors of RNBV, have received compensation ranging from 80,000 to 130,000 euros from this company. "Specific missions within the alliance"
"I want to know to whom these remunerations were paid, if they were declared, if they correspond to a service rendered, and therefore if Renault's board of directors and shareholders of Renault were well informed of these remunerations"said the Mayor on Sunday. "RNBV executive members may receive compensation for specific missions they conduct within the alliance. And all these remunerations appear in the accounts of this holding company ", says one to the direction of the manufacturer. However, neither these accounts nor these amounts are public, because the law does not oblige to publish the individual remunerations of employees. "The law stipulates that only the remuneration of corporate officers [Carlos Ghosn, le PDG empêché de Renault, et désormais Thierry Bolloré] is discussed at the Compensation Committee, approved by the Board of Directors, voted in general meeting and published in the reference document. " While Renault commissioned former prefect Claude Baland, head of the group's "ethics and compliance" department, to verify the remuneration of its senior executives, the lawyers of the builder and his Japanese counterpart were to set up a similar investigation. on current pay practices within GNI.